This could possible be one of the most important articles written by me for this blog. While that may stump many of you, if you’re from the South, then some of you know where I’m goin’ with this. And please, pass this on. By all means, spread the word. Growin’ up, there were two things my Step-Father hunted other than meat. Morel Mushrooms and Ginseng, or ,what we call, “Zang”. We didn’t use it ourselves but we sure did hunt. What my Step-Father found and dried out, he’d sell. With the money, he’d buy big ticket items needed for the home. One Zang Season, he was determined to hunt enough to buy my Momma a new Washer and Dryer. After that, to make as much money as possible for him to buy the materials to finish out our basement. Another year, a new Fridge or Stove. Now days, my Step-Father is a bit too old to hunt Zang. He can barely walk and time has caught up with him, among other things. His Season didn’t stop, though, with Age. It stopped long before that. Unfortunately, it was by the hands of a new Generation of Hunters – Money-Hungry Hunters with no damn care or respect for the mountains they take from. And worse yet, no respect or care for the Zang they strip from those mountains. If you were to visit my Step-Father about the time Zang Season starts, and if you are lucky enough to earn his trust, he’ll grab his stick and with a kind of limply-wobble, he’ll take you out into the woods. There, he’ll show you his private little patch of Zang that he started himself with two or three plants he found in the wild, by chance. The Zang doesn’t grow so he can pick and sell it. No, he is growin’ it because in his mind, by what he has seen, this little bit will ensure that the Zang doesn’t disappear altogether. And while you’re there, he’ll show you the leaf and he’ll show you the berry. The berry, he always explains, is the most important part. Why? Because it ensures the Zang will grow for all future Seasons to come. “It takes but a second,” He has shown so many, “To tuck the berry beneath the dirt once you grab what ya want. (The Root. )” And if there happens to be a berry growin’ on one of his plants, he’ll show ya first hand. “Don’t have to dig. Don’t have to take an hour to rake the dirt or till anything. Just have to grab it and tuck it under there real easy and simple like.” He’ll go on and on about it not because he’s a scratched record stuck on repeat but because he doesn’t understand why no one does it anymore. Why no bothers. Why no one takes but a second to keep the plant thrivin’ and growin’ for years to come. Those who hunt Zang now days, are burnin up with Gold-Rush-Fever. At least, that’s what it seems like. They yank and run. They don’t bury the berry. They don’t do anything with it at all. Sometimes, they grab the whole darn plant and lurk for the next. That’s why men like my Step-Father have only their memories of all the years they hunted. Every season, I’ll see him starin’ at that tiny, modest patch. His face will glance towards the thick and heavy woods borderin’ his property. His expression of drains of anything but sadness and while I’m sure it’s the fact he can no longer hunt, it’s also the fact that every year, there is less and less out there to be found. He knows this. We all do. So that’s why, before I get to the details and healin’ effects, I wanted to stress the dangers surroundin’ the plant itself….and that one day, if people don’t start huntin’ with some sense, there will be no Zang out there to find at all. 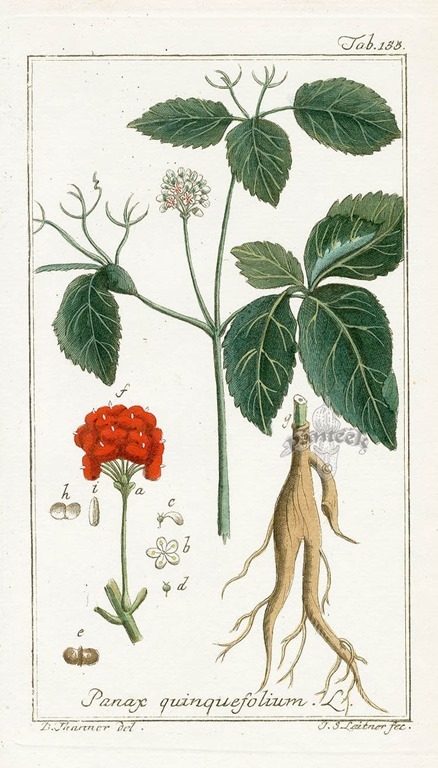 Remember, while a plant can grow up to 28 inches long, it takes six years for a Ginseng plant to mature. The Season, in hopes to protect the species, is regulated by the Federal Government. It is illegal to harvest the plant before the berries ripen and make seed. (This doesn’t stop the idiots, though.) This happens in late Summer and early Fall. The Chinese can pretty much coin the fame of Ginseng. For 5,000 years or more, they have used this root as a “cure-all”. There is White Ginseng and Red. Ginseng promotes protein synthesis in the Liver. It reduces the chemicals in the body that causes stress. It helps the body metabolize sugar, boosts immunity, aids the heart and circulatory system. It can enhance mood and counteract mild cases of depression. it contains ginsenosides, saponosides, panacene, thiamin, riboflavin and essential oils. It is important to note that taking ginseng for 3 months or more can affect sleep. Taking high doses can also cause anxiety and restlessness. Interestingly enough, the American Indians had a use for Ginseng as well. They used the tea for nervous conditions, vertigo and headaches. They chewed the root for colic, to induce childbirth, increase appetites and fertility. Some tribes used it to increase mental powers. Mountain lore calls Ginseng, “Sang”, which may have led to a misunderstanding of the “S” when pronounced which is why so many ol’ timers, such as my Step-Father, call it, “Zang.” People used to carry the root for all sorts of reasons. It attracted love, money, warded off evil guarded health and even made one grow more beautiful. Folk-medicine would have one drink the tea, which was was considered a way of inducing-lust and aiding sexual potency. However, one a Superstition note, it was said that if you held the root, closed your eyes and visualized your deepest desire inside the root or carved it, then tossed it into runnin’ water, that wish would come true. And if one couldn’t get their hands on mandrake, Ginseng was an equally powerful and acceptable substitute. To sharpen the mind especially for those that are Elderly: I cup of boiling water and 1 tsp. grated, dried Ginseng. Steep 10 minutes. Strain. Prevent heart disease and low blood pressure by taking 20-30 drops of Ginseng Tonic daily. Grating the root for a hot bath will help a person get a restful sleep. 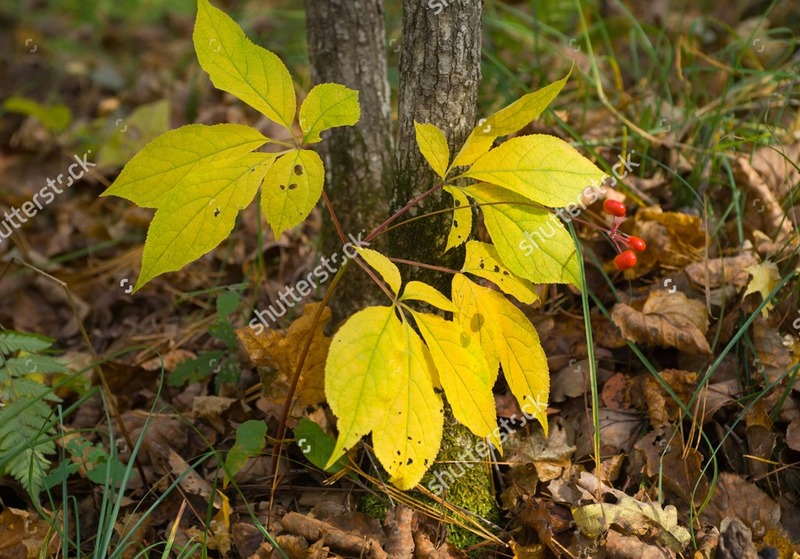 If, you are one of these people about to Hunt Ginseng for profit, for personal use, or have been for some time, then please, help preserve the plant and the heritage of the Season. If you enjoy the money then at least have enough common sense to know that if the plant goes extinct out of carelessness and greed, then there will be no more out there for any of you to hunt. So, protect your hobby or your business. Hunt during Season only and bury the berry. Please.